Model Q-25A consists of an anterior thoracic and pelvic assembly, each of which is attached to serrated discs on the superior and inferior margins of the lateral uprights. 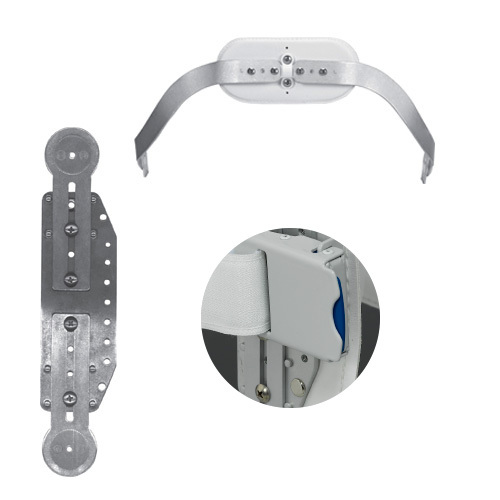 The lateral uprights are padded and adjustable in length. 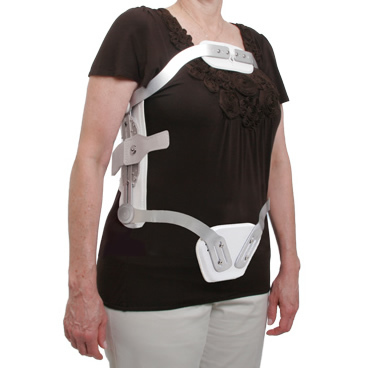 A posterior thoracolumbar pad is attached to the lateral uprights by our Quick Release closure system.